This service is available for all Saigas, Veprs, and other Kalashnikov variants. Custom left hand charging handles Tig welded, blended, and bolt carrier refinished with baked on ceramic enamel. Dust cover notched out and sanded smooth, refinished with same. $185 shipped. Bundle price for all is $375 and includes free sample bottle of Tromix Broken Arrow Break In Lube and our S-12 maintenance kit consisting of hook tools, gas port inspection mirror, port gauges, and a gas port cleaner. One of those in the first pic looks like mine! Yes indeed it is! The numbers on these three are 837, 168, and 923. these are all going out this week along with some other regular service jobs. Tracking numbers will be going out with each order shipped. Another LHCH job shipped today... with our exclusive quick reset G-2 trigger using custom modified Russian over travel limiter (OTL). That LHCH and OTL made a world of difference for me. For the right handed shooter (me) a LHCH seems so much more natural. 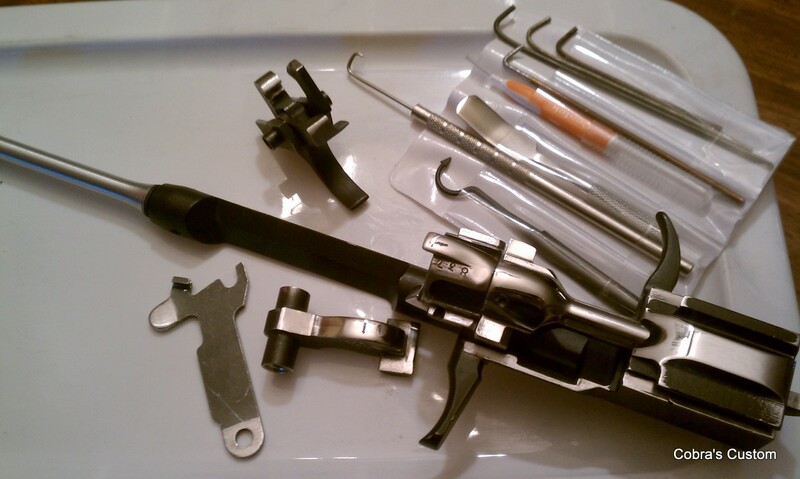 And the OTL........really helps with follow-up shots. 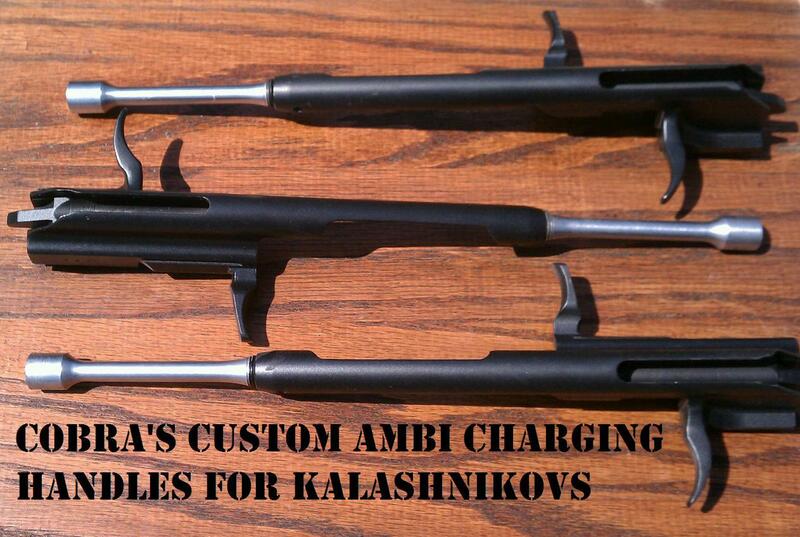 Came up with another new design today for our Ambi Charging Handles on Veprs and Kalashnikovs. 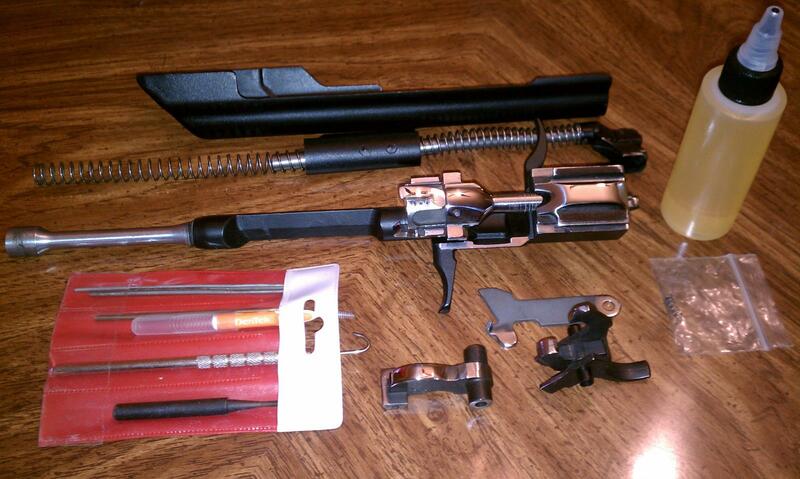 Sharing a photo of the new Barrel style next to our already popular Trigger style. Both these are shipping out tomorrow. Cobra , you really got skills my friend! 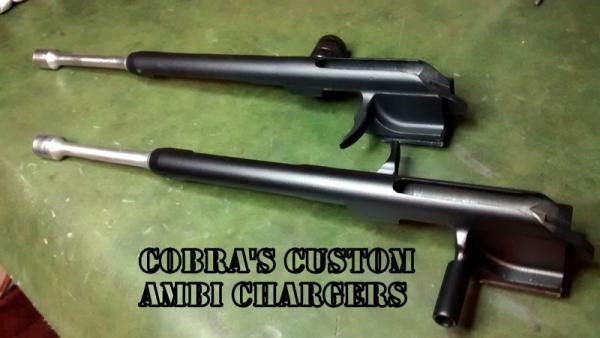 Can you do a Galil style vertical left side charging handle? That helps with the problem of the inside "trigger style" being poky against your chest if using a sling. I'd want these for a competition style that can involve running around and moving stage to stage, so this is welcome. Particularly with the IZ-433 &Vepr 12 with a top mounted aimpoint type optic. 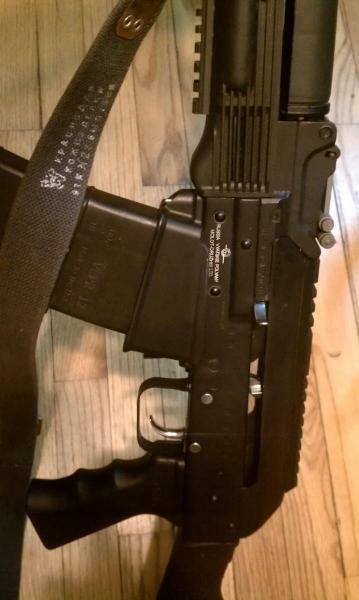 We currently don't do any Galil style (upturned) CH's but are considering adding those to the mix.